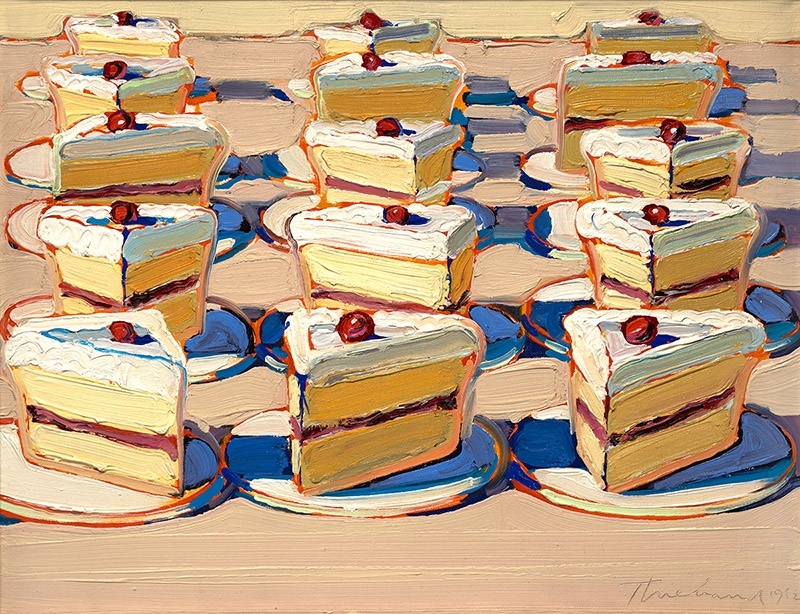 ​Where in the World is Wayne Thiebaud? You may be asking yourself this question over the next few months as the five iconic Thiebaud canvases from the Crocker’s collection are temporarily removed from display to undergo a vital reframing. Thanks to a generous contribution of $15,000 from Bank of America’s Art Conservation Project, the Crocker can protect these pieces in perpetuity, ensuring that the paintings will be around for the enjoyment and education of visitors for generations. “The Art Conservation Project is a major part of our commitment to provide pathways to greater cultural understanding and contribute to healthy economies around the globe, and reflects Bank of America’s belief that, ultimately, these treasures belong to us all,” says Rena DeSisto, the global arts and culture executive for Bank of America. With the protection offered by the glazing process (which involves placing the work behind glass; nothing will be added to the painting itself) the artworks are better equipped to travel to other museums and provide even more people with an opportunity to experience the Sacramento-based painter’s beautiful works. The Thiebauds are among the most important paintings in the Crocker’s collection, attracting visitors with their beautiful colors, composition, and frosting-like texture – which makes them oh-so tempting to touch due to their luscious impasto, that thickly applied paint that stands out from the surface. Touching is just one of the many dangers that the paintings will be better protected from behind glass. So, while parting is such sweet sorrow, saying good bye for now to Thiebaud’s beautiful landscapes, still lifes, and scrumptious pies ensures their presence for many years to come.